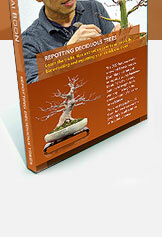 This DVD features world renowned bonsai master, Boon Manakitivipart, as he repots a young Japanese Maple from the nursery. Gain useful insight from watching him begin the transformation of this tree into a bonsai. The repotting techniques Boon demonstrates on this DVD apply to all varieties of deciduous bonsai.